Graphs and charts are ways of representing information visually. 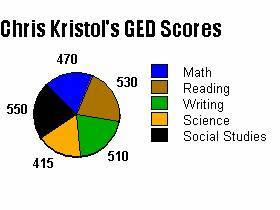 For example, what does the graph below tell you? 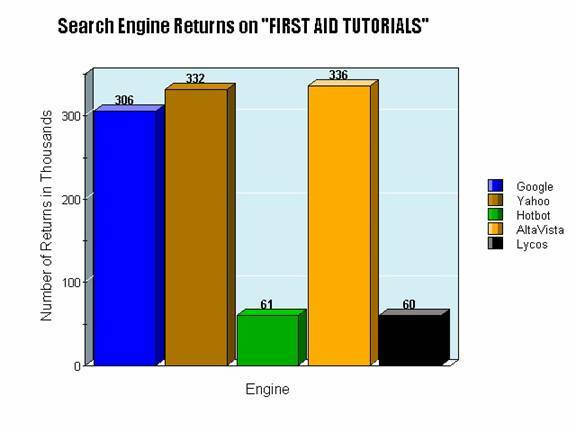 The graph compares Search Engine results on the keywords "First Aid Tutorials" among five Engines (See boxes on your right): Google, Yahoo, Hotbot, Alta Vista, and Lycos. On the left margin of the chart, you see the words, "Number of Returns in Thousands." Google found 306,000 (in thousands) tutorials. Hotbot found 61,000. What did the others find? 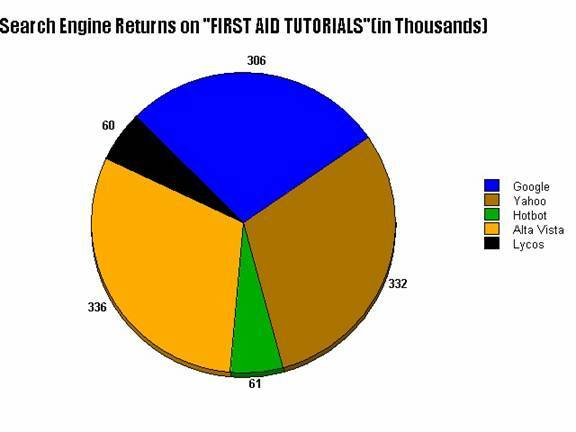 Examine the very same information in a pie chart, below. Following are a chart and a graph with different information. Provide answers to the questions using the boxes below. 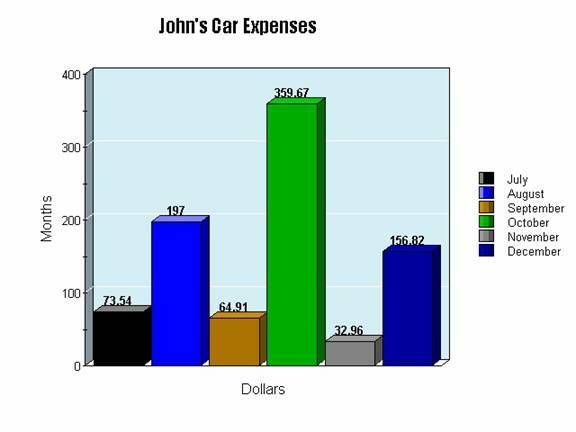 Do you think John should sell his car?